This is a rather unique hunt as in there is 2 hunts integrated into 1! So, listen up carefully. 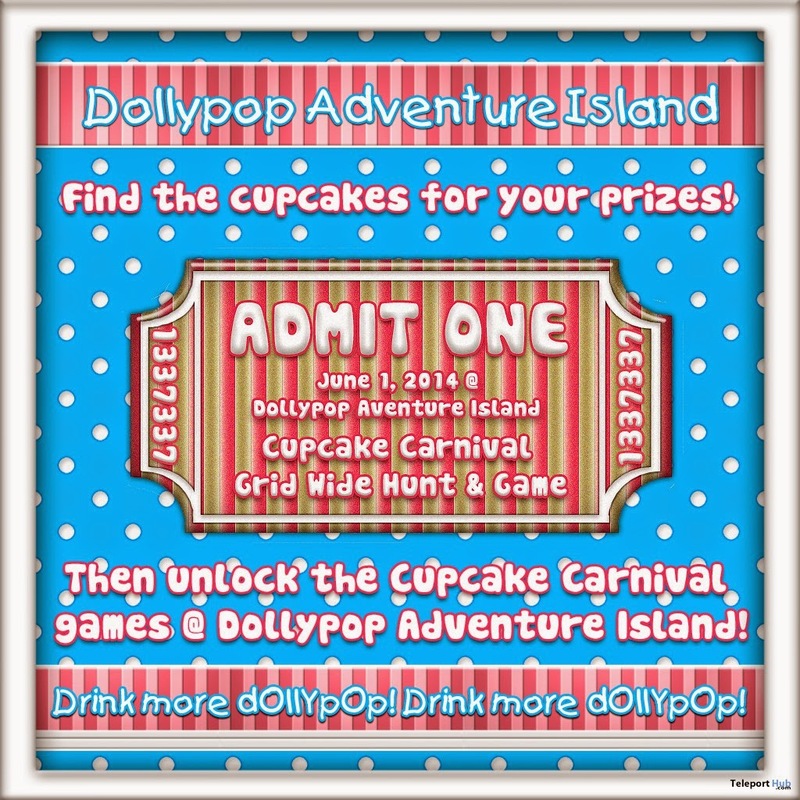 You will need to grab the Cupcake Hunt HUD and start looking for the cupcakes in all the 16 stores! There is 100% that you need ALL the cupcakes, so no skipping or you will not go on to part 2 of the hunt. After getting all your 16 prizes and cupcakes, go back to the start of the hunt and grab the Sucker Tag HUD this time. Now you will need to find one of these poles. Actually you need to find 9 of them IN ORDER. The first one should be right outside the starting point. You will go on clicking on others, which it will tell you it is correct or not, until you find or 9 or hit one of them which will cause you to reset. There are 3 of these "bad" poles and in rage, Kitty tears them down so that they do not misguide others (by derendering them :P). When you find all 9 of them in order, you will receive the final gift. Are they nice? The Suckers and the Candles behind Kitty? Along the way, you will see many "tasty" furnitures in this sim, like a syrup river, ice cream houses and milk fountains. Kitty should keep all the bags, ears and other surprises a secret while you figure it out! Do not hesitate as the hunt will end soon!